The basis of the privity of contract between the constituent and Long Beach Records Europe is the following general terms and conditions of Long Beach Records Europe, unless there are no other written agreements made. If the withdrawal is effective, the treaty is invalid and the services have to be re-granted reciprocally. Your right of withdrawal expires prematurely if you make use of Long Beach Records Europe Online Shop’s offerings before the end of the time limit of the withdrawal, i.e. by logging in into the part o f the website that is liable to costs for the first time. Your access to the part of Long Beach Records Europe’s Online Shop website that is associated with costs is mediated by Long Beach Records Europe and firstly requires your free registration at Long Beach Records Europe. 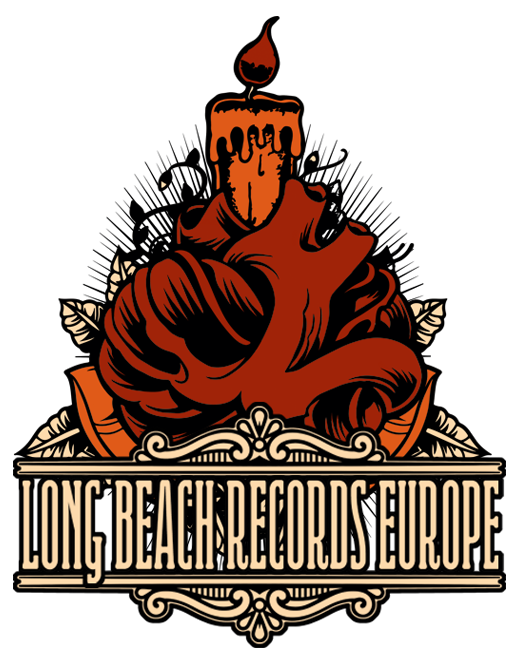 In case you are not yet registered at Long Beach Records Europe, click on the button “log in” for registration. You can register in the new window. To register you need to enter your username, as well as a password and personal data for legitimation. The confirmation of your registration happens immediately electronically by Long Beach Records Europe. Long Beach Records Europe elevates, saves and processes your account data for evaluating and invoicing the services you make use of. If Long Beach Records Europe is not able or only able to collect user fees partly, or Long Beach Records Europe will neglect them due to a complaint, Long Beach Records Europe will pass the account data on to Long Beach Records Europe Online Shop and the user will be banned. This will also happen if e.g. a credit card company will re-process a transaction of a user account of Long Beach Records Europe Online Shop. After registration, or if you are already a registered client you get access to the part of the website that is associated with costs by clicking on the button “log in”, entering your username and your password and clicking on the “login” button. Ordering any article will take place in a three-step procedure. The first step allows you to enter the desired shipping method, as well as your desired shipping address, to which the delivery shall be shipped. During the second step you will be pleased to enter and confirm or change your address of invoicing. Furthermore, the full amount to be paid will be displayed. Finally it is possible to chose between the desired payment method in this step and if the client is in possession of a coupon, which allows sales discounts, he can enter the coupon number in this step. The third step now lists all the chosen options in a summary for examination. By clicking on the “confirm” button a valid sales contract is made. In case there is no guarantee for a commitment period, our offerings are without engagement and obligation. Applications are accorded obligatorily if a written confirmation or an orally ordering is available. Unless there is no contractual or express sales convention made, the prices of the presently valid list of prices, of which the customer takes notice by confirming his order, are applied. Long Beach Records Europe reserves to itself, to accept or decline an application due to consistent principles. Long Beach Records Europe reserves to itself, to reject orders because of their contents or their technical mode even if the applications are exempted from mandatory. Long Beach Records Europe Online Shop doesn’t save your order. Long Beach Records Europe will create an electronic invoice for your orders. Being a client of Long Beach Records Europe, you have access to a personal service area, in which you can have a look into and edit your personal data, as well as your email settings. The prices are gross including a value added tax. Shipping, insurance, customs, etc. are invoiced separately, unless they are not part of the offer. The price list at the point of time of the application confirmation is the basis of the calculation. The invoice total is to be transferred on the current account of Long Beach Records Europe in advance. It is also possible to pay the total amount via our PayPal account. To avoid outstanding amounts from the start, the shipping will not take place until the total of the invoice is being paid. Neither cheques nor bills of exchange are accepted. Payment has to be made in Euro. Long Beach Records Europe is exerted to maintain the customer’s desired dates best possible. Delivery dates lenghten appropriately when the raw material that is delivered to Long Beach Records Europe is insufficient or when the work sequence is disturbed by force majeure, strikes or instances for which Long Beach Records Europe is not guilty. Long Beach Records Europe is authorised to assign third person to accomplish applications (subcontractor). The danger of accidentally loss of the consignment of goods and materials devolve to the customer at the time the goods desert from the business premises of the contractor alternatively of the subcontractor. The danger of loss will also devolve to the customer when it is a matter of carriage paid consignment as well as consignment with company owned vehicles. If the shipping is to be carried out not immediately after the completion, due to the wish of the customer, the customer has to bear all risks from the point in time of completion. The customer is responsible for not violating legal and regulatory prohibitions or restrictions. If he does not fulfil his obligations, he has to exempt Long Beach Records Europe from all possible claims of third party and he has to make up for the damage occuring through the violation of this duty of notification. Until all claims from the business relationship are entirely paid, all goods remain in the possession of Long Beach Records Europe (conditional goods). In the instance that the customer sells conditional goods, the purchaser cedes the claim from selling-on conditional goods to the salesperson, even insofar the goods have been worked up or worked on. The purchaser is able to collect the outstandings until the revokement, as long as he fulfils the payment obligations of the salesperson. After a revokement, the warrant ends and assigned outstandings, which have been received after the revokement, have immediately to be accumulated on a special account. Distraints or any other access of third party have to be reported immediately. Notification of defects or miscellaneous complaints due to manifest defects have to be made immediately and at the same time the complained goods have to be transmitted. Long Beach Records Europe is obliged to atone or to put up subsequent improvement within the scope of their possibilities only when the notification of defects are made on time and when they are legitimate. In the instance that the subsequent improvement or compensation delivery goes wrong, it is the right of the customer to decrease the payment or to annul the treaty. You commit yourself to secure the transferred user data accurately and to keep them protected of third party. You are not authorized to provide your user data to third party. In accordance with the §128 BDSG (Data Protection Act of the Federal Republic of Germany) we call attention to the fact that data necessary in the framework of the business processing will be worked with and stored in an EDV attachment in accordance with §33 BDSG. Personal data will be kept in confidence and will not be forwarded to third party. Legal warranty claims are effective. Long Beach Records Europe Online Shop is simply an editorial designed offer of information, which substitutes legal advice in individual cases not. The offer at Long Beach Records Europe Online Shop are assembled in all conscience. Long Beach Records Europe Online Shop nevertheless does not assume liability, completeness and timeliness of the offer of information. Long Beach Records Europe Online Shop is only liable for mischief, that are caused by Long Beach Records Europe Online Shop, by its legal representative or by one of its servants careless or purposely unless Long Beach Records Europe Online Shop harms a basic contractual obligation. The preceding limitation of liability affects contractual and non-contractual claims. Liability according to the law of product liability and liability by a slightly careless violation of life, body and/or health is intact. Except for intent and/or want only negligent or violation of a basic contractual duty, the liability is limited in its extent to the typically predictable mischief at the point of time of contract conclusion. A slightly careless violation of life, body and/or health is intact. The extent of liability is limited to the respectively totally afforded monthly fee. The maximum is the respectively actual value of a two year’s contract. In each case, the joint and several liability is limited to � 5.000 per client and case of loss. All claims of compensations prescribe within one year from the acknowledgement of the incident that caused the mischief. That is not the case regarding intended behavior of legal representatives, servants or employees of Long Beach Records Europe Online Shop. All contentions are to be decided about exclusively according to German law. Long Beach Records Europe Online Shop reserves itself to change the general terms of condition. Changes will be sent to you to the email-address you entered and they will be sent to you at least four weeks before they will become accurate. Instead of attaching the entire text to the email, there will be a reference to the internet address, where the new version of the terms and conditions are available. If you do not disagree within a month from the point of time of delivery they are obtained accepted. If there are changes to your disfavors, you are able to terminate contractual relationship without reason within a month after receiving the notification of changes. The applicable law of the Federal Republic of Germany is applied to the exclusion of the standard UN-conventions. In case any ordinance of the contract or the general terms and conditions should be ineffective, or should the contract be imperfect, the rest of the contract will not be affected.